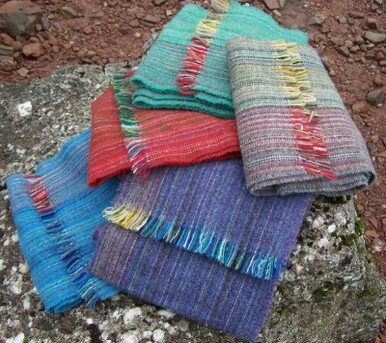 Beautiful, warm scarves in fantastic colours: Take the wonderful Welsh healing energy with you out into the cold. Size: 9.5” (24cm) x 75” (190cm). Fabric colours may vary slightly from photos due to the individual nature of these products.